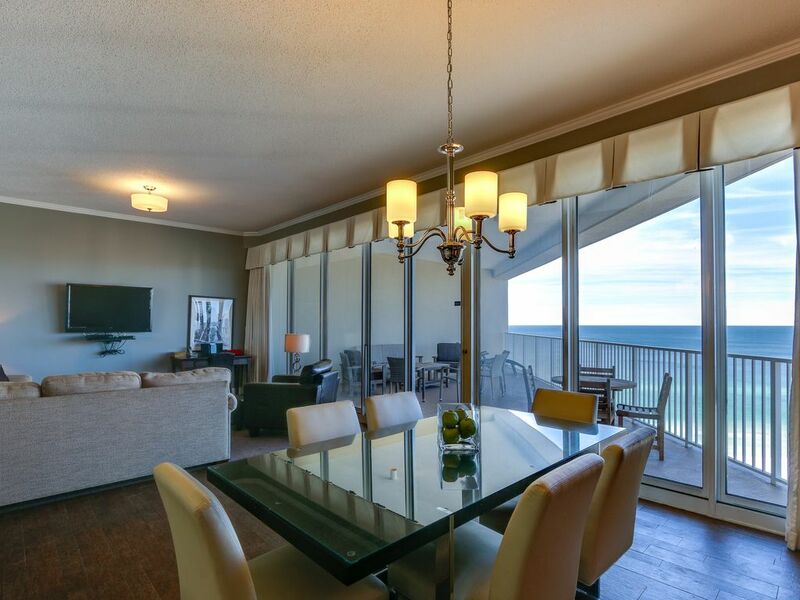 Penthouse condo with 2 pools, hot tub, beach, FREE Destin activities inc! From the entrance hall, you can see straight through the 10-foot ceiling penthouse condo to your private, expansive 15th floor balcony and the breathtaking Gulf of Mexico. In addition to a teak dining table your balcony includes a casual teak sitting area for you to enjoy your afternoons outside. The living room is decorated with a modern touch and has a fantastic flat screen HDTV - perfect for those evenings spent in. The kitchen has been updated with quartz countertops and backsplash, new cabinetry, and stainless steel appliances. The breakfast bar is the perfect place to grab a quick bite on the way to a sun-filled day! You will also find a washer and dryer for your utmost convenience. The master bedroom has a luxurious king size bed, flat screen HDTV, and private master bathroom with beautiful tile work, a whirlpool tub, and a walk-in shower. The second bedroom holds a queen size bed, flat screen HDTV, and an additional bathroom as well. The sectional sofa in the living room converts into a sleeper, allowing this condo to sleep six people very comfortably.